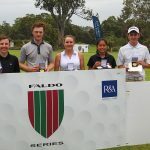 Manila, Philippines (December 6): Jacob Rolida outlasted rising female star Sofia Chabon down the stretch to claim victory in the 11th edition of the Faldo Series Philippines Championship. 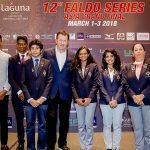 Rolida fired an admirable closing one-over-par 73 over the Faldo Course at Eagle Ridge Golf and Country Club in the 11th leg of the 2018-19 Faldo Series Asia season to overhaul Chabon. 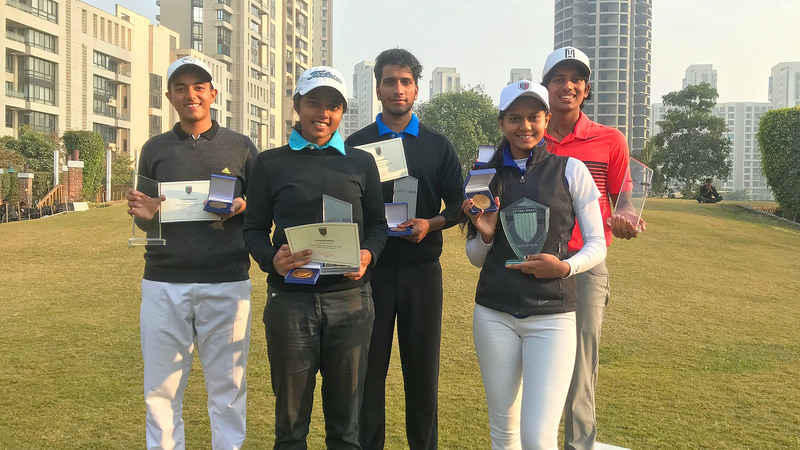 With a 54-hole aggregate of 236, Rolida topped the standings in the Boys’ Under-18 category and also edged out Girls’ Under-18 champion Chabon for the overall title in The R&A World Amateur Golf Ranking event. 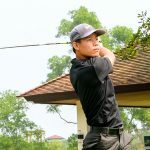 Following rounds of 82 and 81 in testing conditions, Rolida headed into the final day three strokes off the lead in third position, behind Kwon Min-seo and Chabon (162). 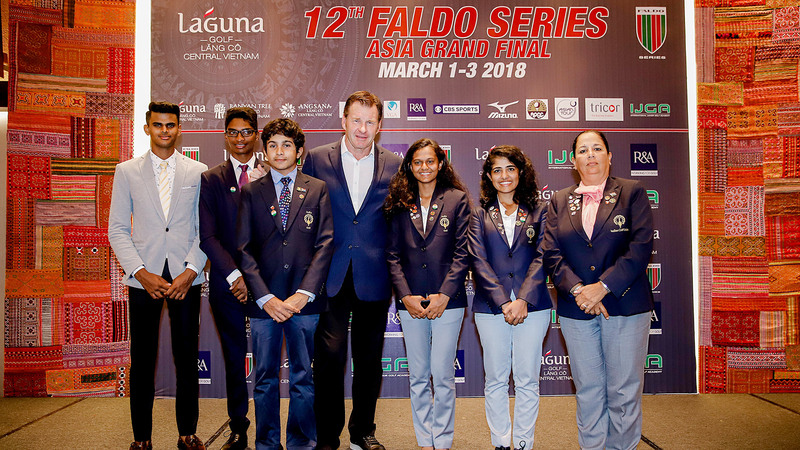 With six holes remaining at the Faldo Design venue, located about 50 kilometres from the business district of Makati, it had turned into a two-way battle between Rolida and Chabon. 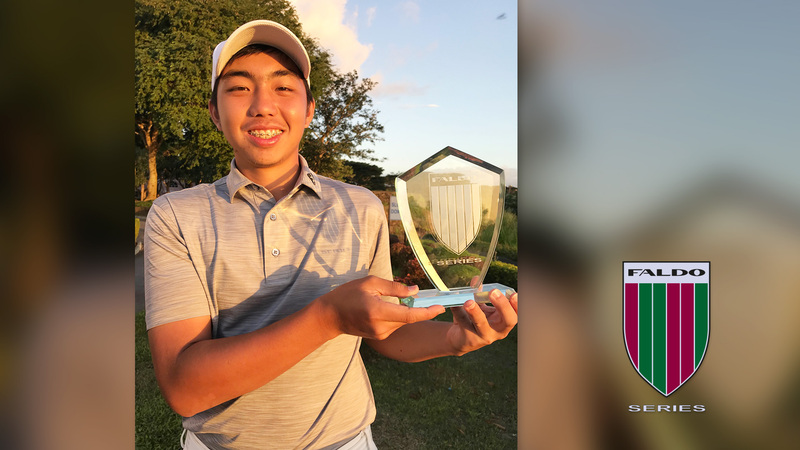 With tension mounting and nerves starting to jangle, Chabon ran-up four successive bogeys from the 13th to leave the door ajar for Rolida, runner-up in the Boys’ Under-16 segment last year. Grasping the opportunity, Rolida drew level after 15 before surging two shots clear with a birdie at the par-four 16th. Pars at the final two holes were good enough to see him home. 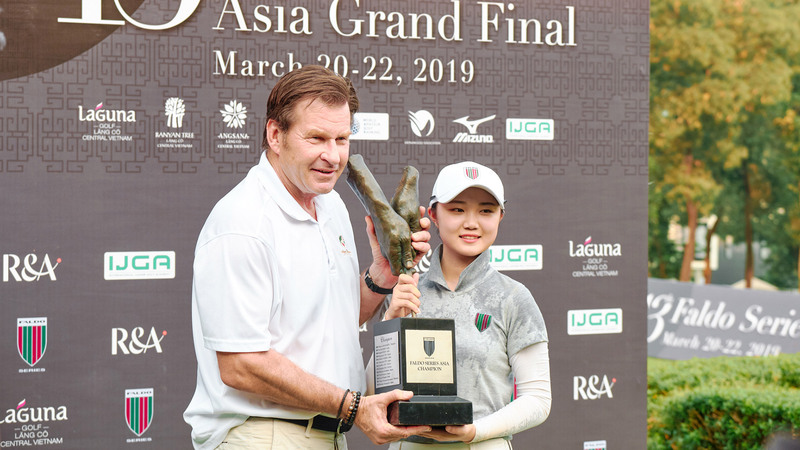 Rolida’s reward is a ticket to the 13th Faldo Series Asia Grand Final to be hosted by Sir Nick Faldo at Laguna Lăng Cô in Danang, Central Vietnam in March, 2019. 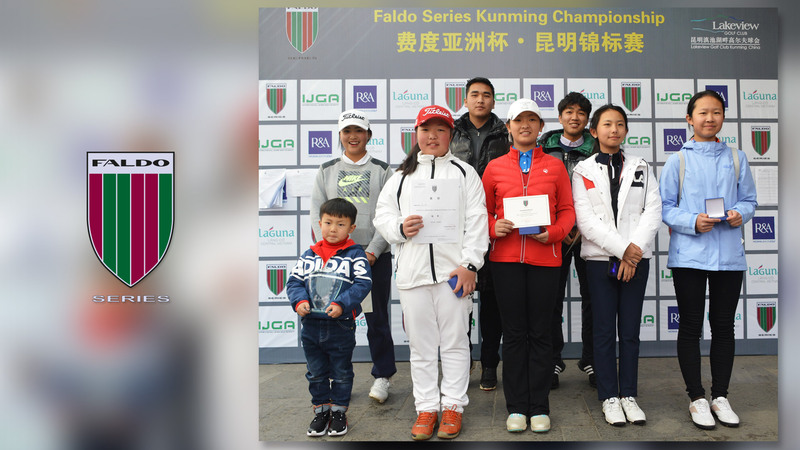 Also qualifying were Alfonso Barro (Boys’ Under-21), Miguel Ilas (Boys’ Under-16), Kang Da-yun (Girls’ Under-16) and Chabon. 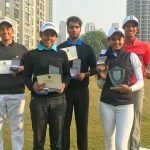 Among those who missed out was Laia Barro, who was bidding to complete a hat-trick of successes in the Girls’ Under-16 division. 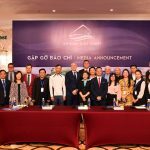 However, Barro never recovered from an opening 87 which included three double-bogeys and a seven at the par-four 10th, which proved her nemesis. For the three rounds, she was eight-over on that hole alone. 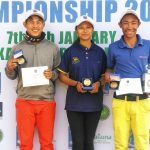 Organised by the Junior Golf Foundation of the Philippines (JGFP), a non-profit organisation dedicated to the growth and development of golf in the country, this year’s Faldo Series Philippines Championship included divisions for boys and girls aged between nine and 11. 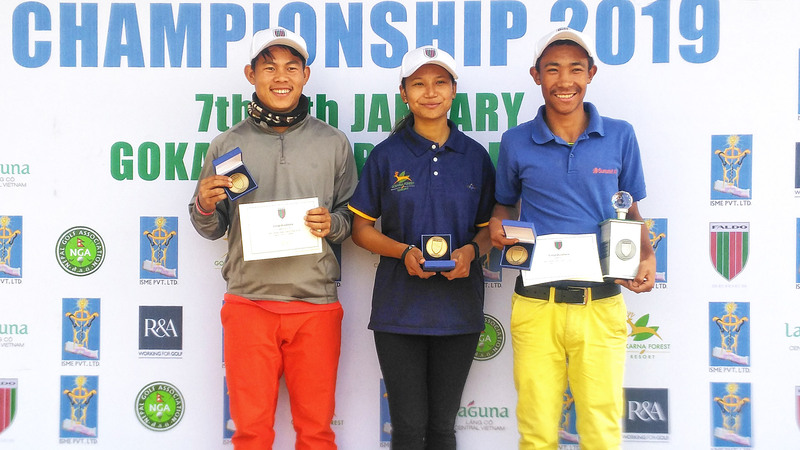 Living up to the JGFP’s stated mission of ‘providing junior golfers of all abilities with a competitive and fun environment that not only develops golf skills, but also positively builds their character’, Gabie Rosca, Celine Abalos and Rafael Leonio all caught the eye. Boys’ Under-21: 281 – Alfonso Barro (97-95-89). 287 – Guilbert Purcia (94-97-96). Boys’ Under-18: 236 – Jacob Rolida (82-81-73). 239 – Paolo Barro (83-83-73). 256 – Joaquin Gomez (90-85-81). 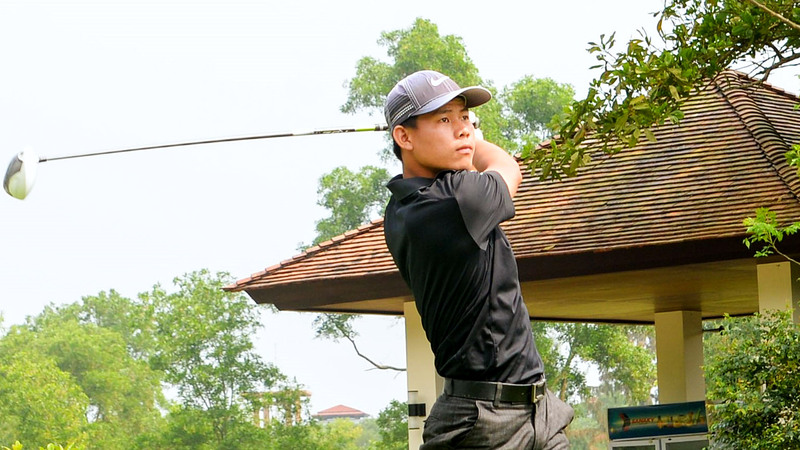 Boys’ Under-16: 244 – Miguel Ilas (83-78-83). 248 – Josh Jorge (83-84-81); Jaco Illescas (87-80-81). 249 – Juan Santino Laurel (79-83-87). Boys’ 11-12: 266 – Vince Tiamsic (89-94-83). 284 – Rafael Ilas (96-95-93). Boys’ 9-10: 249 – Rafael Leonio (82-83-84). 263 – Paolo Agustin (94-86-83). Girls’ Under-18: 238 – Sofia Chabon (77-85-76). 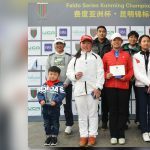 Girls’ Under-16: 245 – Kang Da-yun (81-86-78). 250 – Faustina Duque (87-79-84). 258 – Laia Barro (87-86-85). Girls’ 11-12: 234 – Gabie Rosca (85-73-76). 242 – Kwon Min-seo (80-80-82). 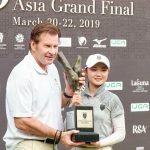 244 – Jeong Yeah-eun (83-80-81). Girls’ 9-10: 245 – Celine Abalos (80-88-77). 246 – Venice Tiamsic (81-79-86).